Imagine this – A small, sleek, modern sedan tricked out with lightening, a turbo kit, and a fin aggressively swims in and out of morning traffic like a supervillain on a mission. The primary problem is that the driver is making a lot of maneuvers at the expense of other drivers, cutting them off, swerving in front of them, and goading them to speed up or move out of the way. What can be inevitable in these situations is slamming on the horn and getting a bad reaction (maybe the one finger salute) from the overly aggressive driver. This can snowball into road rage, which can have a contagious quality, as the aggressive, rage-driven behaviors of one motorist can incite aggression and recklessness in surrounding drivers. 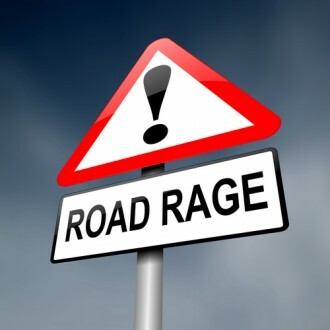 While it may not seem like road rage is that big of a deal, this aggression often leads to motorists speeding and otherwise violating traffic laws, endangering the lives of anyone sharing the road with them. Making risky maneuvers behind the wheel. Data indicates that about 1 in every 3 motorists commonly commits an act of road rage, according to the US National Library of Medicine, National Institutes of Health. Although this can be scary to consider, only about 2 percent of road rage-related incidents result in car accidents, according to authorities. And, while any motorists can succumb to road rage, most often, these drivers are young males. What Contributes to Road Rage? Just say no to road rage, and refuse to participate in it. Sit it out in the slow lane and make yourself inconspicuous. Yield, even if you have the right away. Leave your ego at home. Stay focused on safety. This can help you make the smart, safe decision when you feel road rage start to build. If you have been injured in a car accident that was the result of a road rage incident, it’s time to contact a trusted Littleton car accident lawyer at Bahr, Kreidle & Flicker. Since 1983, our attorneys have been fighting on behalf of injured people and while working diligently to help them maximize their financial recoveries.